Lenovo L38082 Full Specifications Revealed on TENAA - Playfuldroid! 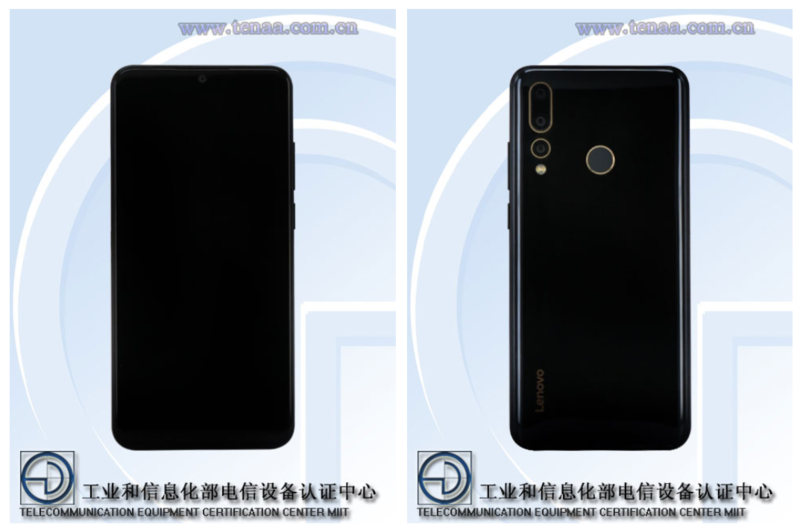 A new Lenovo phone with model number Lenovo L38082 has been granted approval from the TENAA telecom authority of China. The full specifications and images of the phone have been leaked through its TENAA appearance which indicates that its arrival may not be far away. The Lenovo L38032 smartphone features a 6.2-inch IPS LCD display that delivers HD+ resolution of 720 x 1520 pixels. It is powered by an octa-core processor that works at 2.0 GHz. It includes a 3,200mAh battery. The TENAA listing states that the smartphone is equipped with four cameras out of which three are available on the rear and one sensor is on the front. The listing reveals that one camera sensor present on the backside of the phone is of 8-megapixel. The back panel of the Lenovo L38032 smartphone is fitted with a fingerprint scanner. The Android 9 Pie OS comes preinstalled on the device. The handset will be available in models such as 3 GB RAM + 32 GB storage, 4 GB RAM + 64 GB storage and 6 GB RAM + 128 GB storage. It will be available in color option such as black, blue, red, purple, gray, gold, silver, and white in the home market. There is no information available on the official moniker of the phone.